Check contributions can be mailed or made in person during our Open Shop program. Please note whether or not you would like a receipt for tax-purposes. Donate A Portion Of Your Amazon Purchases! Amazon Smile allows you to designate a charity of your choice to receive .5% of all your Amazon purchases. 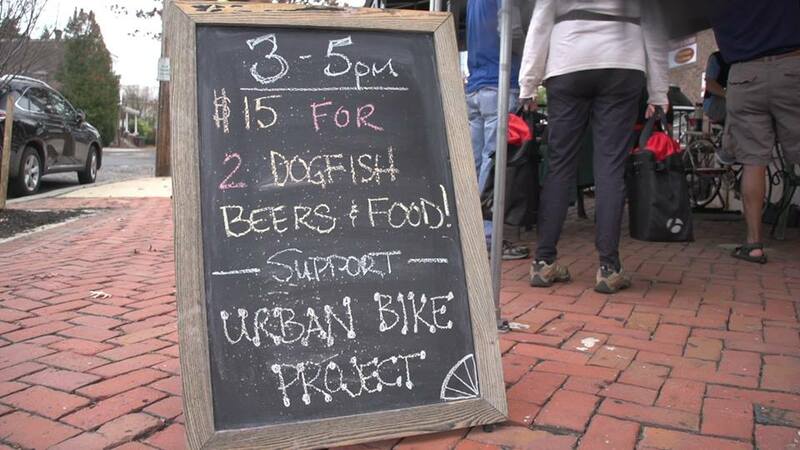 Click here if you would like Amazon to donate .5% of your purchases to Urban Bike Project! Amazon will ask you to sign in and confirm that you would like Urban Bike Project to receive these donations. Once you are signed up, make sure to do all of your shopping at smile.amazon.com. UBP is supported by generous donations from people like you. We are incorporated as a not-for-profit entity and are recognized by the IRS as an official 501(c)(3) organization. You have the opportunity to support an organization with big dreams for the future of bicycling in Wilmington and it’s surrounding areas. Our programs provide assistance to people of all ages and walks of life. Volunteer your time, energy, and expertise. Spread the word! UBP is always looking for organizations to partner with, events, and people in need of bikes or bike repair help. Like us on Facebook to get started! Donate bicycles/parts – your old bike can become a kid’s favorite new activity or an adult’s ability to get to work reliably. Donate to our Capital Campaign! DURING RENOVATIONS, WE ARE TEMPORARILY OFFERING LIMITED SERVICES OUT OF A CONSTRUCTION TRAILER ON SITE. Enter through the gate off Walnut Street and proceed straight back to the trailer. We will have repairs, used part sales, and Free Bike Program services available during normal shop hours. Renovations are expected to be complete in April. UNFORTUNATELY, WE CAN NOT ACCEPT BIKE DONATIONS DURING THIS TIME. … Your commitment and dedication is astounding. The Wilmington Community is a better place because of you!